determine the correct size to order. 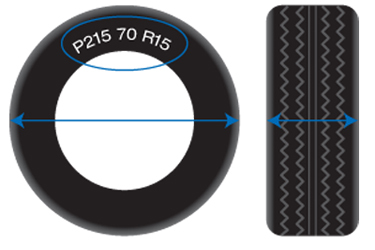 which size will fit your tire best. the best fit for your spare tire. to our list of available product. Why Should I Use Tire Covers? Your spare tire is an investment in convenience and safety. Many RVs and Vehicles have their spare tires constantly exposed to the elements. UV rays from the sun can speed the aging process of your tires, which can lead to dry rot or premature cracks in the sidewalls. Rear Mounted Spare Tires are more susceptible because they get little use. Normal driving causes tires to heat up and flex, which maintains their built-in UV protection. Your spare tire doesn't have this advantage. Using a tire cover will help protect and prolong the life of your spare tire.